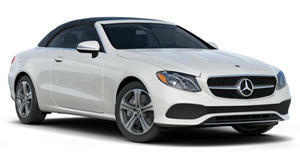 Just in time for the beginning of the warm weather season, MEC Design has released its take on the E-Class Cabriolet. The convertible is known as the E-Class E350 CDI Cabriolet, and the Berlin based Mercedes-Benz tuning firm has given it a few minor changes. Some upgrades include the installation of one piece wheels, lowering the springs and exhaust system, and giving the convertible some summer season styling. The wheels applied to the cabriolet are the mecxtremell wheels that were just released for the spring. The wheels are available in eight finishes too. MEC Design has also made devised a way to make it easier to fit a four-pipe exhaust system in the rear diffuser, but the tuner states that this addition is not ready just yet. In the meantime, enjoy the pictures.